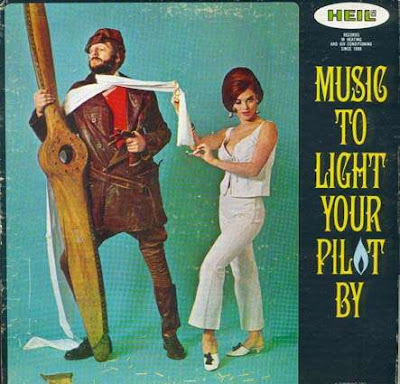 Although he looks dashing as ever, he seems somewhat torn between the propellor and the woman. Captain Shawn does look more interested in that propeller than his hot trolley dolly. But then, she looks more interested in his silk scarf than she does in him. upon closer examination, I think she's trying to set his scarf on fire. Captain Shawn? Is that you? The Swedish Chef had a cereal! Eff it. I'm voting for this guy.